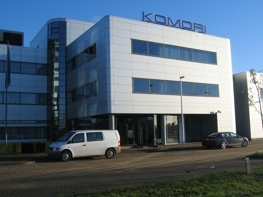 KOMORI International Europe is one of the largest manufacturers of sheet and web-offset machines. 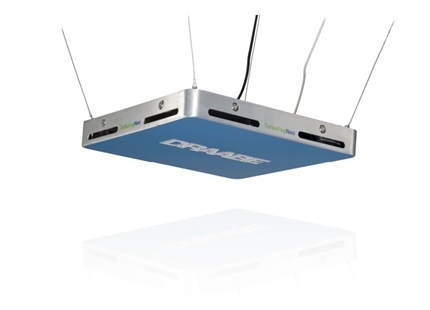 DRAABE air humidification systems ensure the trouble-free use of printing machines in their showrooms. KOMORI was founded in 1923 in Tokyo. More than 2000 employees are now working on the success of the company. Even specialised printing machines for printing banknotes and digital printing machines are part of the portfolio. And KOMORI has always upheld the highest standards. “More output and high quality while reducing energy at the same time are the goal”, says Karin van der Heuvel, KOMORI Marketing Manager Europe. KOMORI trains its own employees, as well as those of its customers in the show rooms in Utrecht and Paris. However, especially in the winter months, problems of electrostatic and paper “plating” arose due to air humidity levels that were too low. 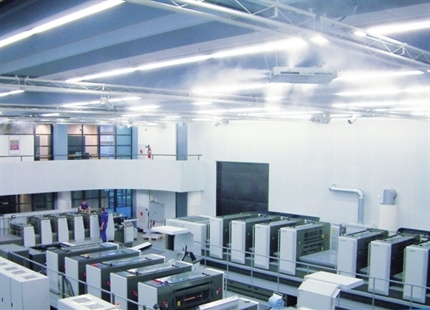 Since 2012, six TurboFogNeo 8 humidifiers ensure constant air humidity in the KOMORI Graphic Technology Centre Europe, all digitally controlled. “With the DRAABE system and the resulting optimum air humidity of 50-55%, we are now able to demonstrate our machines running at full capacity year around”, explains Ad Ekelschot, Showroom Manager at KOMORI. 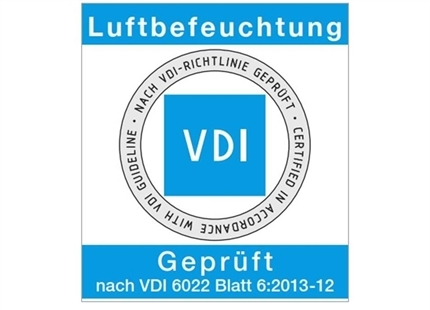 Air humidity can be adjusted quickly, as needed, to the requirements of various materials like paper or foils. 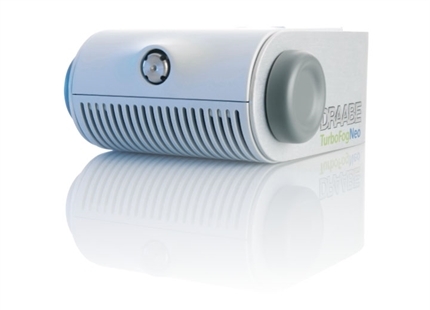 The water is sterilised beforehand using a DRAABE water treatment system and demineralised for hygienic and fault-free operation of the humidification system. The ease of maintenance with the full-service package is valued by KOMORI as one of the special strengths of the DRAABE systems. 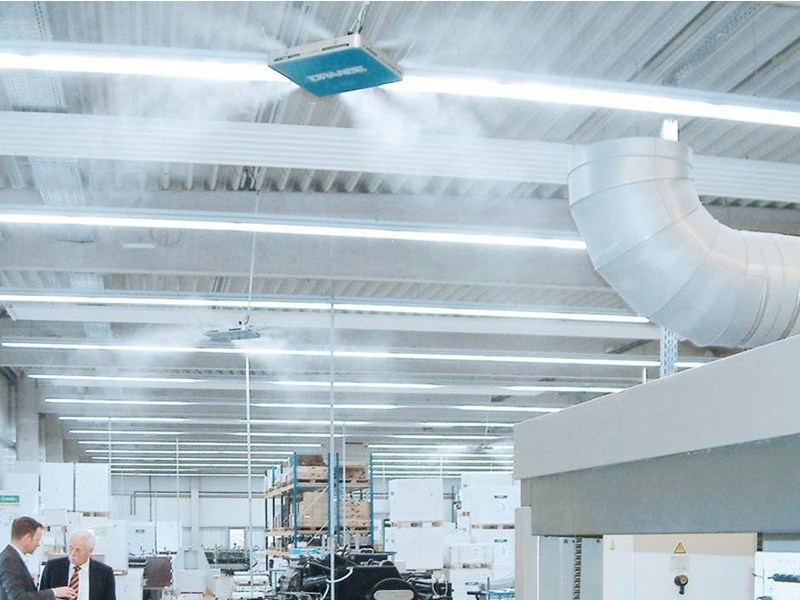 “DRAABE is the perfect fit for our company mission, KANDO – beyond expectations: Functionality and performance of the air humidification system are far above our expectations. Its implementation can be considered a full success”, says the showroom manager.